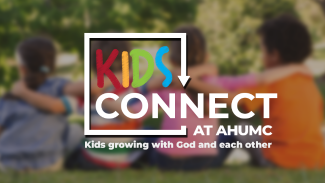 One Friday night a month, AHUMC will be hosting Kids Connect. Elementary students (1st-5th) are invited to connect with one another and with God. We’ll have pizza, a short devotional, provide opportunities for kids to reflect and ask questions, and participate in fun hands-on activities. The cost will be $10 per child. We will need a few parents to help with check in, activities, dinner, etc. Please sign up below if you are available to help!